What are #bffs for, if they aren’t for celebrating your “last night of freedom” before tying the knot? 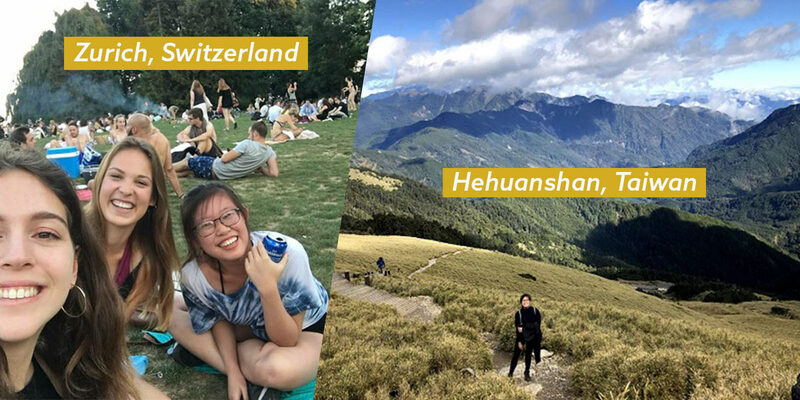 If you’re sick of cliche club-hopping in Clarke Quay, this list will help you plan a hen’s night that could take you anywhere from Wonderland to the ‘20s. 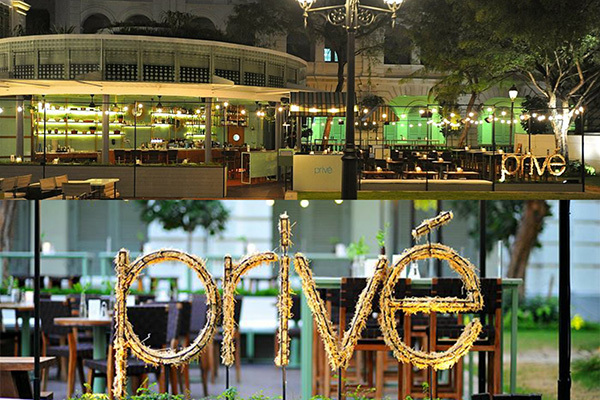 Of all Privé outlets in Singapore, our pick of the lot is their CHIJMES location. 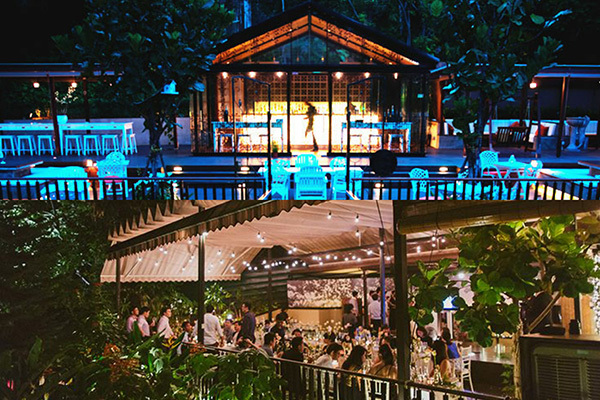 The alfresco setting is perfect for grabbing #instaworthy shots while dining under the stars with your best babes. Piedra Negra’s vibrant interior and authentic Mexican cuisine add an exotic touch to any bachelorette party. 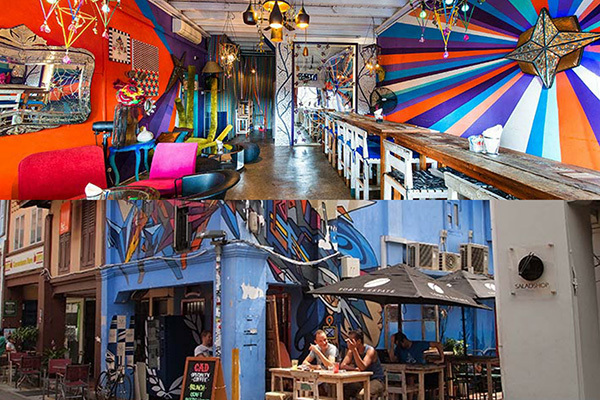 After dinner, hop over to their adjacent sister outlet, Blu Jaz Cafe, to party till the sun comes up. 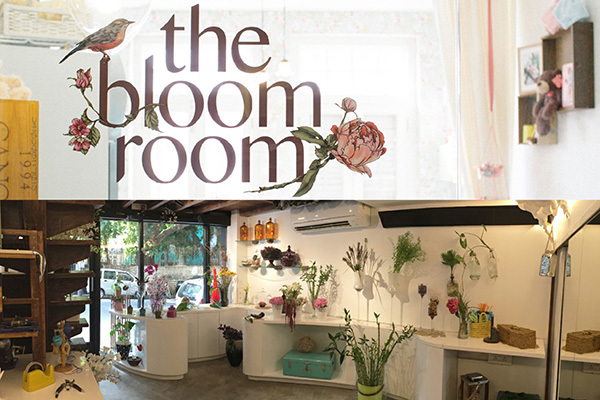 The Bloom Room is perfect for some quiet and intimate time with your girls. 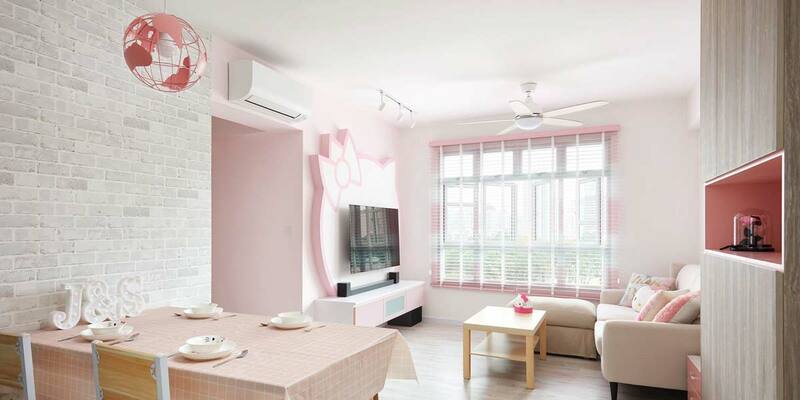 Here, you can take beginner floral workshops and hire an external caterer for a cosy girls’ day in. 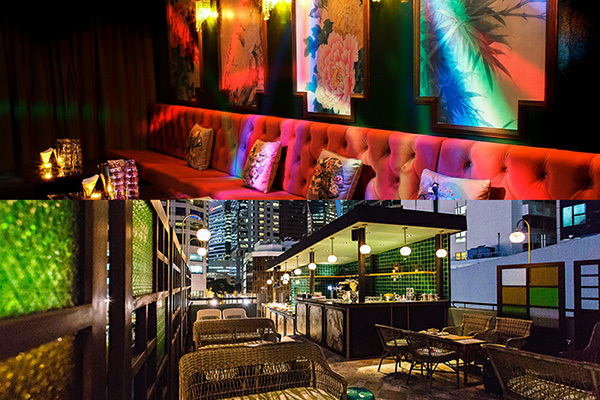 For ladies with fairytale feels, The White Rabbit at Dempsey Hill lets you step into Wonderland for a special night with your girls. You can even fall further down The Rabbit Hole for drinks and desserts. 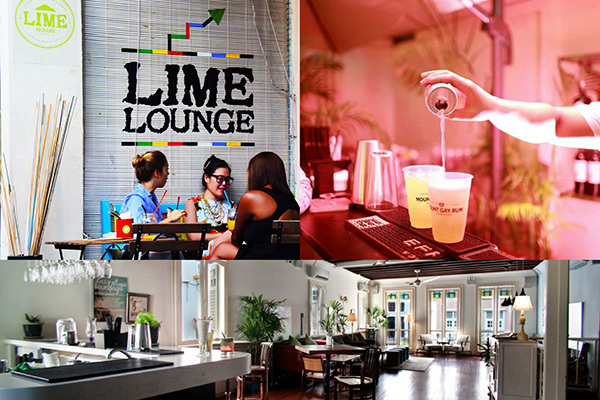 Located in the heart of Chinatown, Lime House is Singapore’s first Caribbean restaurant with private booking for your party needs. You can even head upstairs to the Lime Lounge bar, for a night of drinks and Caribbean-style partying to celebrate your ‘last night of freedom’. 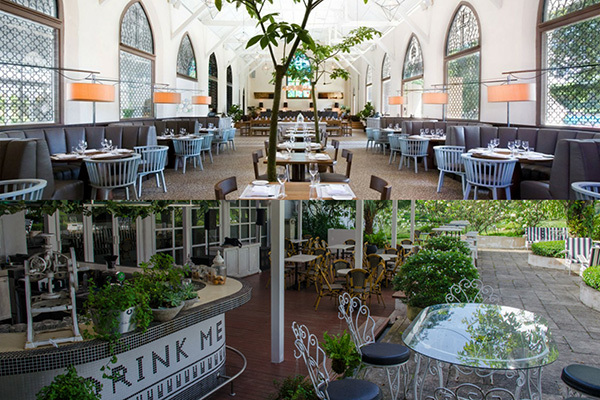 Nosh has three spaces available for booking, but The Country Kitchen and The Noshery are best suited for an intimate girls night out. If you have embarrassing childhood slideshows prepared for the bride, the place is fully equipped with audio support and projectors. More information is available in this brochure. 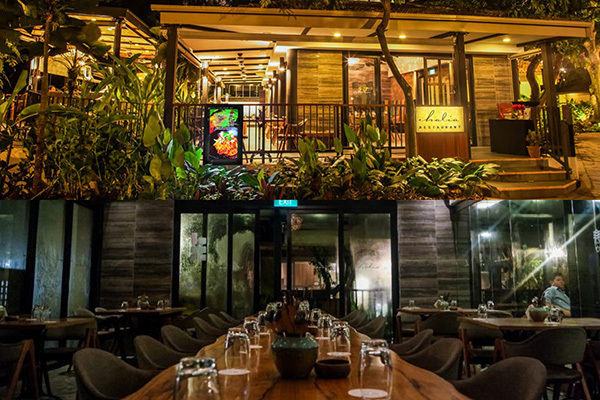 For a night of livin’ da vida loca, head down to UNA, a Spanish-inspired restaurant and tapas bar. If you’re having trouble juggling your bridesmaids’ duties, the team at One Rochester can also help to plan the night with you. 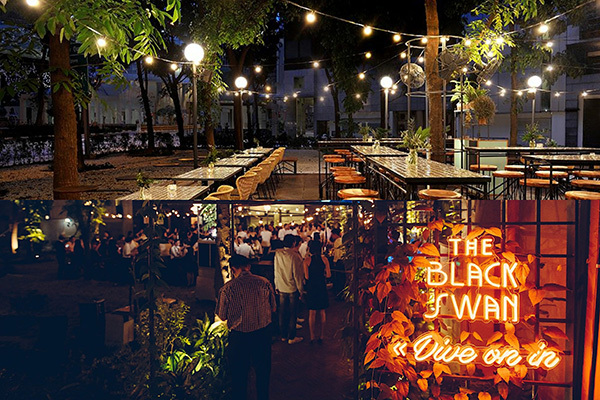 Inspired by the ‘20s, dining at The Black Swan promises a night of glamour and theatrics for you and your girls. After dinner, enter The Powder Room and soak in the ambience while enjoying old-time cocktails and beverages. 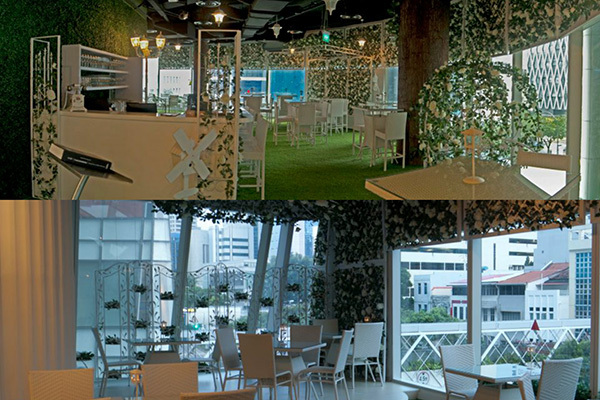 For a night of live music and outdoor dining amidst the flora and fauna, head down to The Halia. 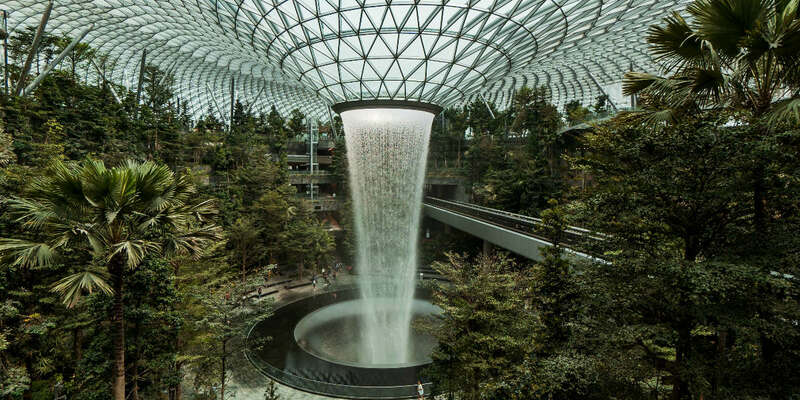 After dinner, take a stroll through the UNESCO World Heritage site and enjoy nature together. 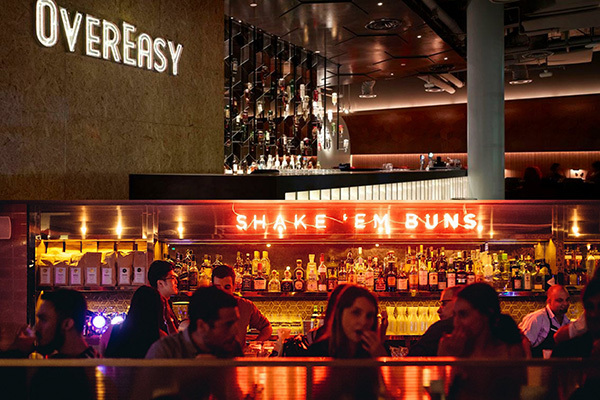 “Escape” Singapore for your special night by heading to Overeasy; an American-style diner that serves everything from milkshakes to burgers. You can also look forward to a night of dancing and drinks with the girls as the restaurant turns into a club at night. More information can be found here. Take to the seas and rent a yacht for the day through Eagle Wings Yacht Charters. 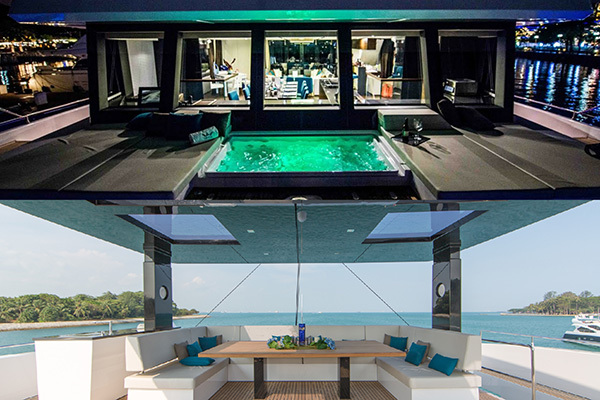 Each yacht comes with en-suite bathrooms, queen-sized beds, jacuzzis and a stocked bar. Water sports, automated mahjong tables and a karaoke system are available when you’re on board. If your gal pals like a little adventure, this is it. 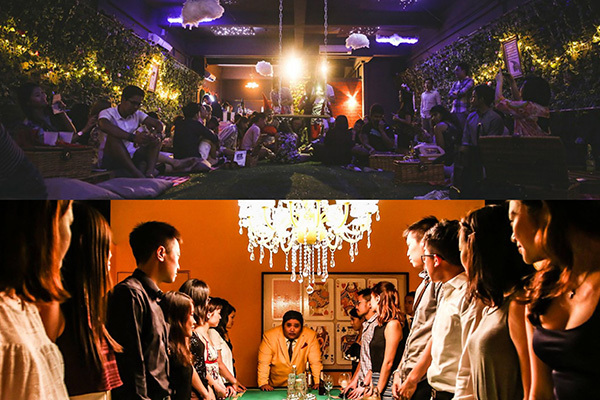 After reserving tickets, the location of the pop-up restaurant remains a mystery till the night of the feast, where you will be given clues to find it. At dinner, enjoy interactive performances and elaborate sets for an immersive dining experience. 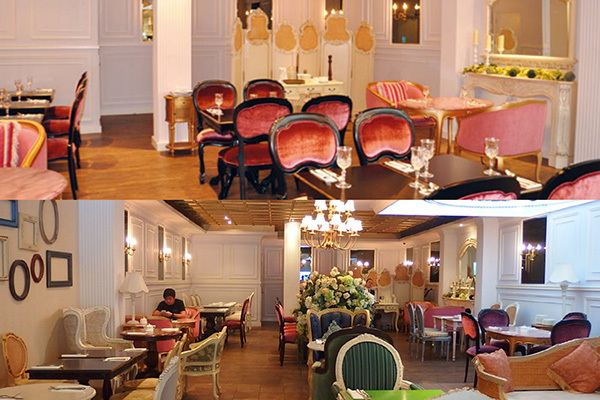 If French rococo makes you go loco, visit Antoinette, a Parisian pâtisserie at Penhas Road. Inspired by traditional French design and the last queen of France, bring the bride-to-be here for a luxurious day fit for royalty. At the Screening Room, take your pick from chick flicks to foreign films. 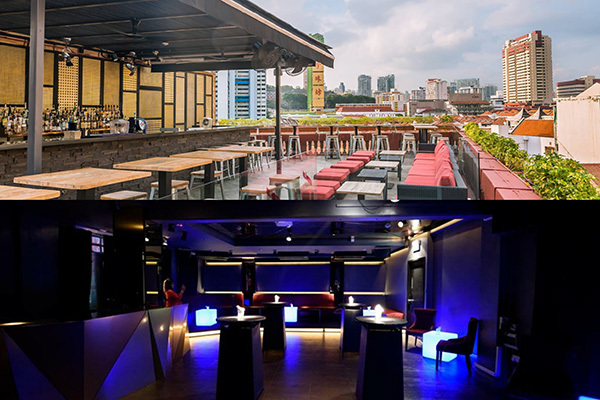 You can book private movie screenings and lounge on sofas while enjoying cocktails and bites from their rooftop bar. 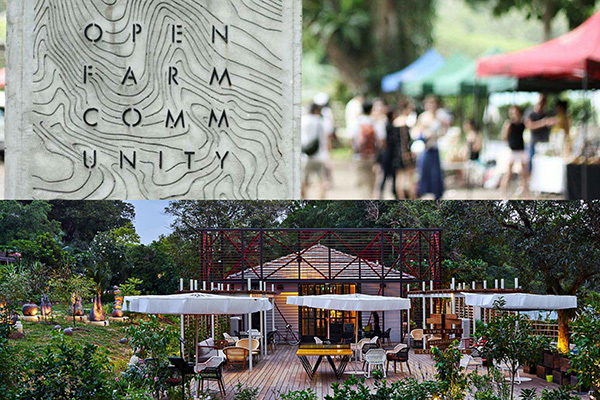 Open Farm Community is a local farm where you get the chance to understand how food is brought from farm to table while dining. 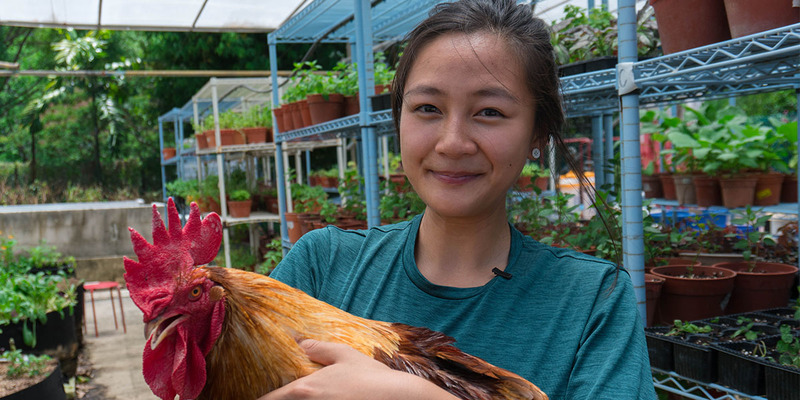 You may even get to see free-range chickens roaming the area. After dinner, sweat the carbs off by bowling or playing table tennis outside the restaurant. Inspired by the Garden of Eden, Blisshouse will get the bride in a romantic mood for the big day. If you’re looking for a place to take aesthetic shots, they even have a pumpkin carriage for you and your girls. 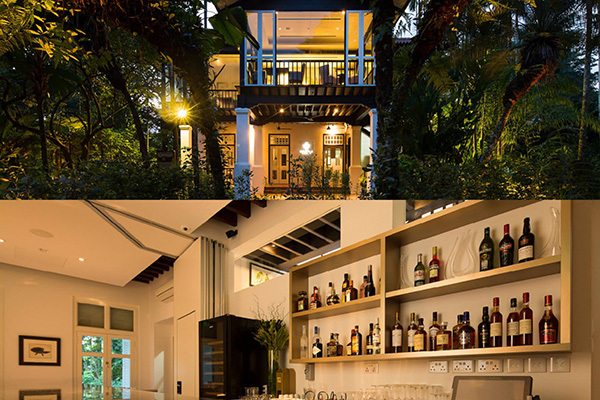 The Corner House will take you to 1910, the year this black and white bungalow was built. 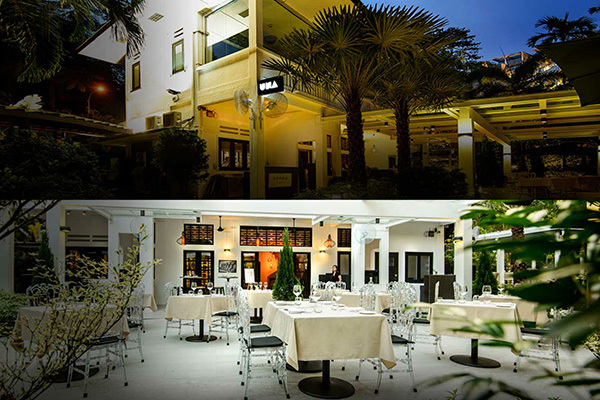 As a Michelin Star restaurant, a night of good food and an escape into lush greenery awaits you and your girls. If the bride is a Volkswagen enthusiast or a vintage lover, she’ll love the collection of Volkswagen Kombis and 1970s vibe of Kombi Rocks. 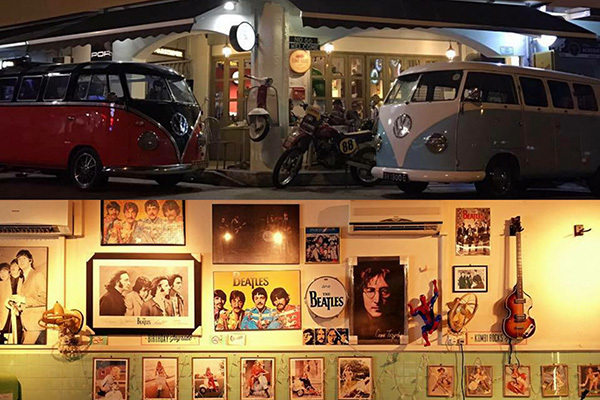 You can even opt to Ride and Dine in the comfort of a Kombi and get miniature Volkswagen keepsakes to remember the night. 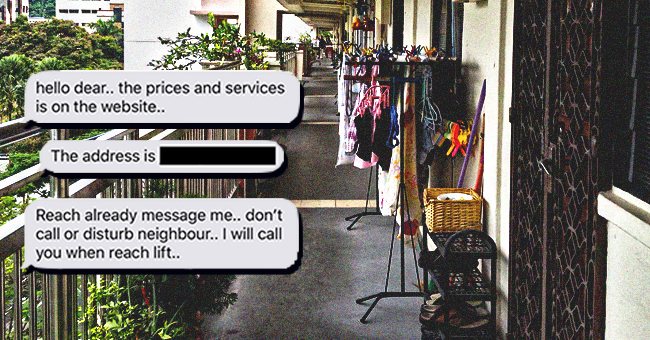 Sum Yi Tai will show you what it was like to live the glam life of a Hong Kong gangster in the 1980s. From the tapas bar to the lounge, you can enjoy authentic Cantonese dishes before dancing the night away with their DJs. 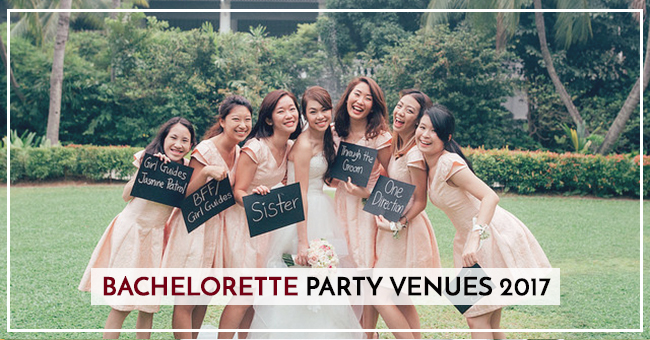 Handlebar is the perfect place for the bride-to-be who isn’t afraid to show her rugged side. 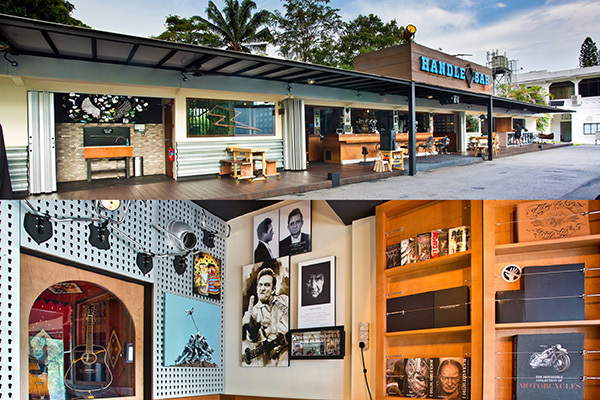 The first biker bar in Singapore offers a unique atmosphere you’d usually find at an American Roadhouse. These places could be the start of a night to remember when you’re old and wrinkly. But what’s more important than the venues is to soak up this special moment with your #sisters.